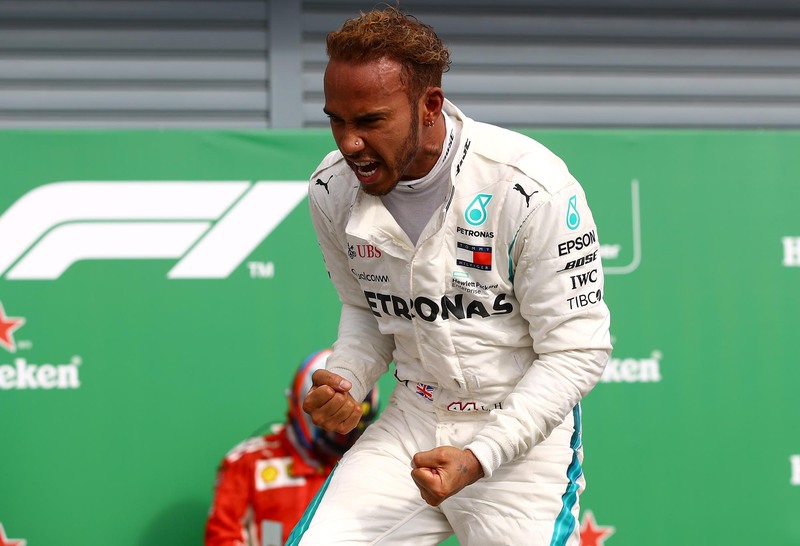 Lewis Hamilton’s fifth world title is a true drivers championship forged under the immense pressure of this generation’s two most successful drivers going head-to-head in a bid to cement their greatness. But the size of Hamilton’s victory, two rounds before the end of the season, belies how close Sebastian Vettel ran him in the first half of the season. For so much of 2018 Ferrari had a car at least a match for, if not marginally quicker than, Mercedes. Vettel, driving superbly early in the year, also held healthy points advantages at key moments. But his challenge unravelled after ten rounds and concluded in his insurmountable 64-point deficit at the Mexican Grand Prix, assuring Hamilton’s victory. There’s no doubt Hamilton’s victory was hard earned, but it’s also fair to say that 2018 will be looked back upon as a season Vettel and Ferrari should’ve won, such was their momentum early in the year. That is, had Vettel’s string of errors not undermined his own title campaign. Actual result: Hamilton P1, Vettel P4. The first of Vettel’s errors is the most forgivable. At the late-race safety car resumption he attempted to mug Valtteri Bottas for the lead at the first turn, but instead he committed a massive lock-up and dropped to fifth. Fifth became fourth, however, when Bottas retired on the following lap with a puncture, gifting the win to Hamilton, who had inherited second place from Vettel. It was fair enough for Vettel to have a crack for the full 25 points, and obviously he wasn’t to know Bottas would retire, but a more tempered attempt on the Finn would’ve paid dividends. Revised result: Vettel P1, Hamilton P2. Revised points: Vettel 79, Hamilton 63. Actual result: Hamilton P1, Vettel P5. Mercedes was a step ahead of Ferrari in France, but Vettel still ably nabbed third on the grid, which is where he could’ve easily finished had he not punted into the side of Bottas at the first turn with another locked-up front left. It wouldn’t be the first time we’d see a Vettel first-lap crash, and it cost him five points. Revised result: Hamilton P1, Vettel P3. Revised points: Vettel 149, Hamilton 138. Actual result: Vettel P3, Hamilton DNF. Vettel qualified third behind both Mercedes drivers, but a careless error in Q2, when he blocked Renault’s Carlos Sainz, dropped him three places to sixth. Of the five frontrunners ahead of him, Bottas, Ricciardo and Hamilton retired with technical problems, leaving Verstappen to steal a home victory for Red Bull Racing that could’ve been Vettel’s had he started where he’d qualified. Revised result: Vettel P1, Hamilton DNF. Revised points: Vettel 164, Hamilton 138. Actual result: Hamilton P1, Vettel DNF. 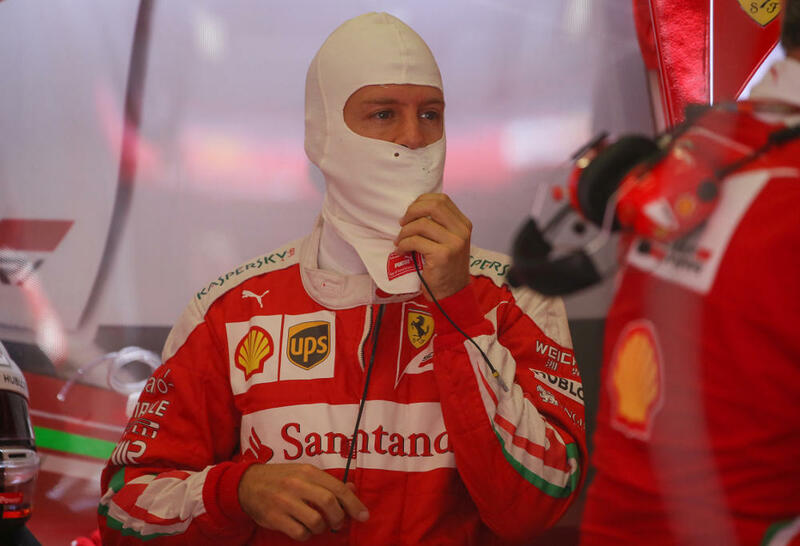 By far the Ferrari driver’s most grievous error came at his home race in Germany. Starting from pole with Hamilton in 14th, he controlled the race right up until the rain started falling. Vettel was conserving his lead when he crashed on lap 53, not only throwing away an easy 25 points but handing them all to Hamilton, who capped off a sensational recovery drive with an unlikely victory. Revised points: Vettel 214, Hamilton 174. Actual points: Hamilton 213, Vettel 189. Revised points: Vettel 199, Hamilton 232. Hamilton won the Hungarian Grand Prix immediately before the midseason break thanks to a prodigious wet-weather qualifying lap that snookered the faster Ferrari cars, taking a 24-point lead into the summer. But had Vettel made fewer mistakes, he could’ve had a comfortable 33-point advantage post-Hungary, a difference more representative of Ferrari’s advantage over the first part of the season. While Germany was Vettel’s most costly mistake, his first-lap crash in Italy was perhaps the most heartbreaking given it was a key contributor in turning Ferrari’s front-row lockout into dust. Vettel made a meal of trying to pass teammate and pole-sitter Kimi Raikkonen on the first turn, which opened the door to third-place Hamilton on the run down to turns four and five. 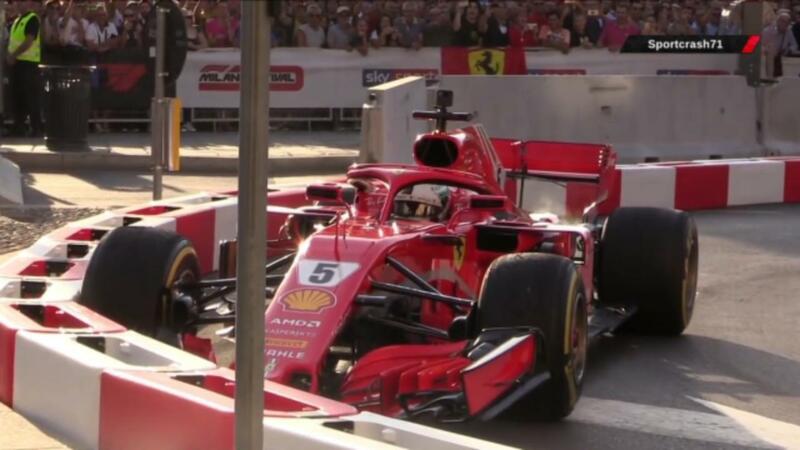 The Briton hung around Vettel’s outside, but Vettel understeered into his side, sending himself spinning down the order. He recovered to fourth, but not before Mercedes outwitted and outnumbered Ferrari to steal Raikkonen’s lead to record a one-two finish. Revised result: Vettel P1, Hamilton P3. Revised points: Vettel 282, Hamilton 232. Actual result: Hamilton P1, Vettel P6. Hamilton’s wins in Singapore and Russia had the title just about beyond Vettel’s reach. A Ferrari tactical error in qualifying left the German eighth on the grid, but a strong start put him up to fourth behind Max Verstappen and the two leading Mercedes drivers. But he botched his attempt to take third of the Dutchman into the tricky Spoon curve — despite the fact Verstappen was to serve a five-second penalty — dropping him down the field and forcing him into another recovery that delivered him sixth, last of the frontrunners. Revised points: Vettel 327, Hamilton 307. Actual result: Hamilton P3, Vettel P4. What was the first of 2018’s potential title deciders should actually have been a chance for Vettel to make a final push to extinguish Hamilton’s title challenge. With Ferrari finally undoing its botched series of updates, Vettel clearly had the pace to score a sizable blow against his title rival. Instead he put himself into another early crash with a Red Bull Racing car — this time Daniel Ricciardo — and dropped himself to the back of the field. Such was the pace of the Ferrari car, he was able to recover to fourth, strongly suggesting the 25 points could’ve been his. Revised result: Vettel P1, Hamilton P4. Revised points: Vettel 352, Hamilton 319. After Mercedes’s struggles at the Mexican Grand Prix and Vettel’s second-place finish, Sebastian would be in the box seat to claim the title in Brazil, where he would only need to prevent Hamilton from outscoring him by 14 points to seal the deal in Sao Paulo. Instead he was forced to concede defeat. It’s fair enough to say that these were the errors committed under pressure, but it’s a devastating rap sheet for Vettel nonetheless. And far greater than lost silverware are the existential implications for Vettel’s standing in F1. It also speaks to his purpose at Ferrari, where he was billed as the next Michael Schumacher — but now time is running out to replicate the feats of his idol. Schumacher was similarly in a championship-winning position in his fourth year at Maranello until a broken leg wiped him out of most of the 1999 season, but his stranglehold over the sport for the following five years speaks for itself. Could you imagine Vettel attaining a similar level of hegemony with Hamilton on the same grid? It seems unlikely. Of course Vettel has a chance to redeem himself next season, and it would be the mark of a great to come back from a demoralising defeat stronger to take the fight to his rival, but in 2019 he’ll also have to overcome young gun Charles Leclerc in the other car, with the Monegasque rated as his generation’s foremost talent. Undoubtedly 2018 has been a bruising season for Sebastian Vettel, but it’s if and how he responds next season that will define whether the four-time champion has more to give or has reached his talent ceiling.